The new GHDs arrived just in time for Fashion Week – thank goodness, I couldn’t have survived without them with all of those early mornings and long days, the last thing I needed was a bad hair day! This weekend I finally had a free sunday morning to take some pics of my daily hair routine, featuring the new stylers, so here it is! The products I use on my hair after showering don’t ever seem to alter from my trusted routine; I start by towel drying then running some Bumble & Bumble Hairdresser’s invisible oil through the ends of my hair. It’s really nourishing and makes my hair lovely and soft! I then spritz all over with Lee Stafford’s Blow Dry Faster Spray – I love this multi tasking product; by some kind of magic it reduces the tame it takes to blow dry your hair, and also protects from heat and helps to detangle wet hair, plus it smells incredible! I use a large Tressemè barrel brush and my GHD Air hair dryer. If you have thick hair and are looking to save heaps of time in the morning, I 100% recommend the GHD Air dryer, it is SO powerful (and nowhere near as noisy as my old dryer) so it saves me loads of time, it’s been one of my greatest investments! Next, I spray my hair all over with Lee Stafford Flat Iron Protection Shine Mist for extra heat protection before straightening. As with all Lee Stafford products it has the most gorgeous fragrance. I usually wait for Boots 3 for 2 offers and stock up on this and the Blow Dry Faster Spray. My hair is naturally straight but I never leave the house without running my hair through with straighteners to reduce frizz and give a glossy, tamed finish. I wasn’t expecting the new stylers to be much different from my old ones, but I was immediately surprised by how smoothly the stylers glide over my hair, they also heat up SO quickly that I can even do it when I’m in a rush. I personally prefer a slightly more natural look than perfectly straight hair, so to give my hair a little texture, I finish with TIGI Bed Head’s Biggie After Party Smoothing Cream, smoothing it through the ends then swirling hair into a loose bun until I’m ready to leave the house! 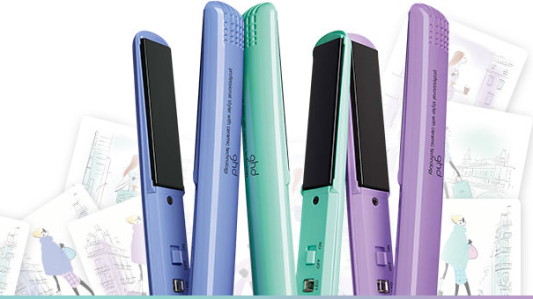 So my verdict for the GHD Pastel IV Styler? Not only does it deliver the Ceramic Heat Technology for sleek straightening and smoothing, but the round body means it’s also really easy to create waves and curls (post with this style coming up soon!). 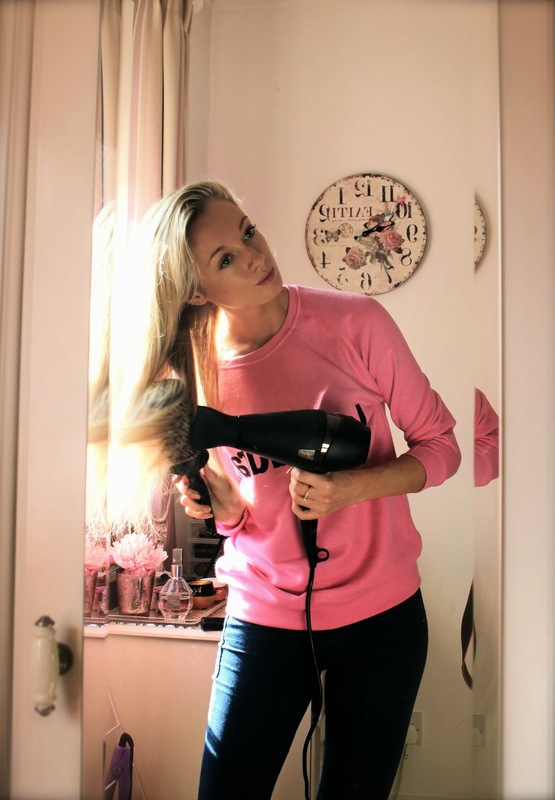 I think that GHDs are one of the greatest investments a girl can make, at £110, the cost per use is so low when you consider how long they last, and that you’ll use them almost every day! Pretty pastel colours are going to be huge this spring, so these beautiful lavender stylers definitely have my seal of approval. 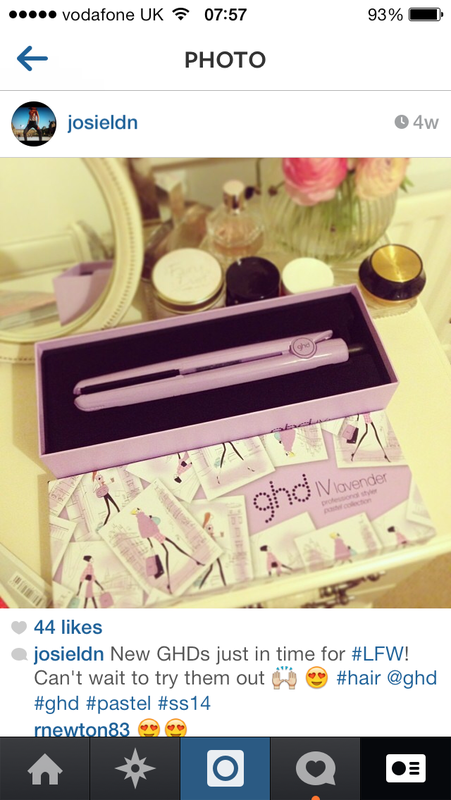 Could you survive without your GHDs? What do you think of the Pastel collection? Next Post Battle of the Coral Lip Crayons!